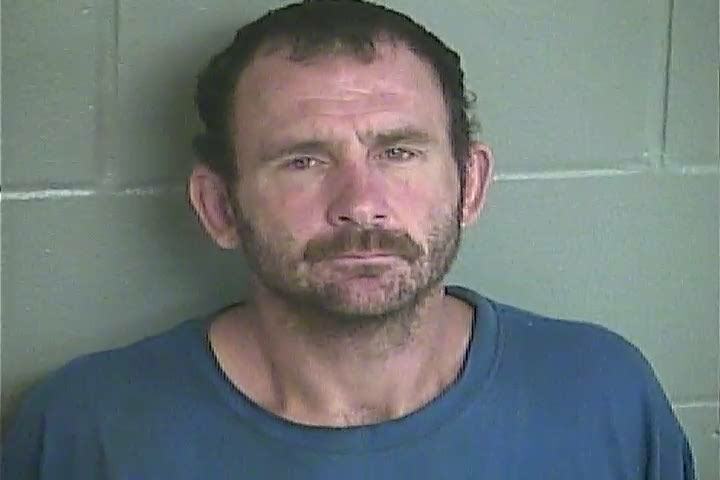 The LCSO Criminal Investigations Division arrested Daniel Delaney 6-15-72 of Chiefland on October 18, 2016 for Dealing in Stolen Property and Possession of a Weapon by a Convicted Felon. Delaney was developed as a suspect after investigators arrested Gary Vanwinkle and Samantha Corbin. Investigators were able to determine Corbin met with Delaney and sold him several guns recently stolen from an elderly victim in Levy County and a gun stolen from Dixie County. Investigators interviewed Delaney on October 18, 2016 at his home in Chiefland. Delaney denied meeting with or purchasing guns from Corbin. Unknown to Delaney, the entire transaction was recorded on business surveillance cameras. Delaney was arrested and booked into the Levy County Detention Facility and is being held pending his first appearance before Judge Browning tomorrow morning. Investigators believe Delaney has been involved in selling stolen merchandise to unsuspecting citizens in Alachua County, Gilchrist County, Dixie County, Levy County and Daytona Beach. Anyone who has purchased anything from Daniel Delaney is asked to contact Investigator Scott Stancil at 352-486-5111 and allow law enforcement to inspect your purchase. It would be very unfortunate for a citizen thinking they were able to buy something for a “good deal” to wind up being the subject of a criminal investigation, when they can easily have it verified through us. Levy County Sheriff’s Investigators arrested Norman “Ashley” Burnett 8-14-77 for multiple burglaries in the Chiefland and Fanning Springs area yesterday. Burnett first became a person of interest when the “Juice Box”, located in Fanning Springs, was burglarized on October 4, 2016. The owner reported approximately $900.00 worth of merchandise had been stolen when the burglar broke through a window. LCSO investigators were able to obtain a warrant for Burnett’s arrest on October 10, 2016 for the Juice Box burglary. Burnett’s bond on that case was pre-set at $150,000.00. Investigators located Burnett just off of Manatee Springs Highway yesterday and after a brief foot pursuit apprehended him. Investigators interviewed Burnett, who matched the description of a person seen in the Buck Bay subdivision, and gained his confession. Investigators report Burnett confessed to 5-6 burglaries in Buck Bay, taking approximately $600.00 in property from various vehicles and yards. The LCSO investigators continue this investigation and anticipate additional charges will be filed in the near future. Currently Burnett is booked into the Levy County Detention Facility for the singular warrant and is being held on a $150,000.00 bond. LEVY COUNTY, FL – On Saturday, October 22, from 10 a.m. to 2 p.m. the Levy County Prevention Coalition, Levy County Sheriff’s Office, Cedar Key Police Department, Chiefland Police Department, Williston Police Department and the Drug Enforcement Administration (DEA) will give the public its 12th opportunity in six years to prevent pill abuse and theft by ridding their homes of potentially dangerous expired, unused, and unwanted prescription drugs. Bring your pills for disposal to any of the following locations. (The DEA cannot accept liquids or needles or sharps, only pills or patches.) The service is free and anonymous, no questions asked. For more information about the disposal of prescription drugs or about the October 22 Take Back Day event, visit the Levy County Prevention Coalitions page on Facebook. Levy County Deputies responded to the home of a very alert elderly man in Chiefland on October 1, 2016. The victim reported his home had been burglarized and firearms were missing. The victim told deputies he saw a green and gray truck pull into his drive and two people get out and begin working on it. The victim went outside to see if he could help. The driver identified as Gary Vanwinkle (8-17-80) of Fanning Springs, engaged him in conversation and made the victim believe he knew him and his mother. Vanwinkle’s mother did in-fact know the victim, but he had only met the victim once, when over a year ago when he performed work at the victim’s home. Vanwinkle’s girlfriend Samantha Corbin (7-15-87) of Old Town was with him. As Vanwinkle and the victim spoke, Corbin asked to use the restroom. The victim showed her where the restroom was and then went back outside to continue his conversation with Vanwinkle. Corbin exited the home after approximately 10 minutes then struck up a conversation with the victim. Vanwinkle then asked to use the restroom to wash his hands. The victim allowed him to enter the home as Corbin spoke to him outside. Both Vanwinkle and Corbin left the home. Immediately upon going back inside, the victim discovered several guns were missing. LCSO Criminal Investigations Division investigators were able to identify Vanwinkle and Corbin and obtained arrest warrants. Vanwinkle and Corbin were located at Vanwinkle’s mother’s home in Fanning Springs (Gilchrist County) on October 14, 2016 and taken into custody by GCSO deputies. Both are being held in the Gilchrist County Jail and had a predetermined bond set on the Levy County crimes at $155,000.00. 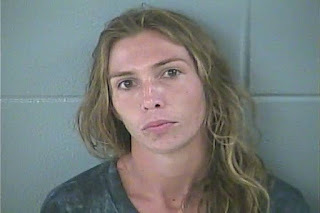 A woman was arrested by Levy County Deputies October 9, 2016 for impersonating a deceased person and attempting to sell a shed belonging to the deceased woman’s estate. A shed was listed for sale on the “Gainesville Swip-Swap” Facebook page and Craigslist. Michelle McNeal (12-18-87) of Morriston, attempted to conceal her identity by assuming the identity of “Tara Davis” who had died in 2015. The victim reported meeting with and signing a sales agreement with “Tara Davis” aka: Michelle McNeal, for $300 at the home where the shed was. 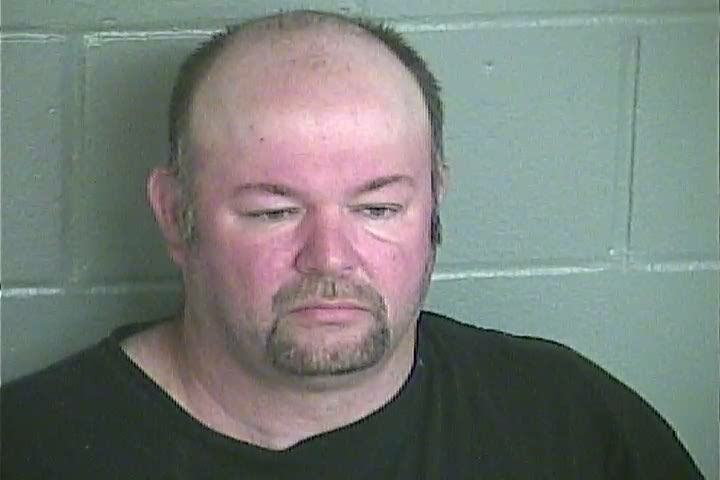 “Davis” told the victim she would have the shed delivered to her on the 8th. When the shed wasn’t delivered and “Davis” didn’t respond to calls or text messages, the victim reported what she believed was fraud to LCSO. Deputy Ryan Sullivan was able to confirm through local records Ms. Tara Davis died in 2015. The address where the shed is located was confirmed to be the previous home of Tara Davis. He was also able to confirm the profile created to conceal the fraud was crafted by Michelle McNeal. Deputy Sullivan went to interview McNeal at her address listed in local records. She was not at home. However, he did locate her at the home of Ms. Davis as she was in the process of selling the shed again, to another unsuspecting victim. Deputy Sullivan tried to speak to McNeal who ran and hid in her attempt to avoid arrest. Deputy Sullivan located her quickly and took her into custody. Michelle McNeal was transported to the Levy County Detention Facility and charged with grand theft, use of the personal identification of a deceased person and resisting arrest without violence. 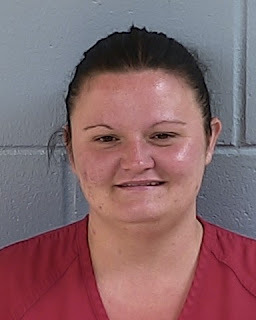 Her bond has been set at $40,000.00.